Good news for New York: another food-delivery service launched earlier this month in Manhattan. Unlike its competitors, OnDelivery.com employs its own workers and pays higher wages. While the system is proving beneficial for a variety of reasons, NY Restaurant Liability should be obtained to protect against the influx of orders that are being processed with the new delivery service. Co-Founder James Chen explained “Every driver who works for us is an actual employee of our company, so we have better control and more consistency-that’s our advantage over these other websites.” OnDelivery already has 30 restaurants on board that are located below 42nd street. Even restaurants who haven’t traditionally offered delivery are participating. How it works: customers pay a processing fee that is under $5, depending on distance, and restaurants pay a $100 registration fee and 20 percent order fee, according to Crain’s New York. Given its geographical service area, profits are expected to exceed $10 million annually. As of now, OnDelivery employs 10 couriers, but Chen anticipates growth to 50 by the end of the first operational year. The employees earn $8.75 an hour, plus tips. What’s more, this delivery service already earned political support. A spokesman for City Council member Margaret Chin noted the congestion and safety hazards associated with delivery drivers. However, since these workers are now only delivering meals to the closest proximity to their locations, congestion will ideally be reduced. At RMS Hospitality Group, we understand the ever changing restaurant industry. 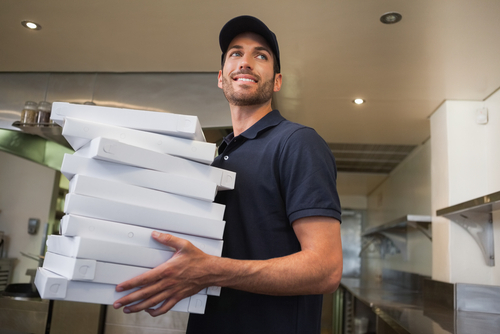 As more delivery services become available and more orders are placed, we are here to protect against the possible risks your restaurant might face. For more information on how our products can serve you, contact our knowledgeable specialists today at (888) 359-8390. ← Famous Chelsea Nightclub Losing Liquor License?